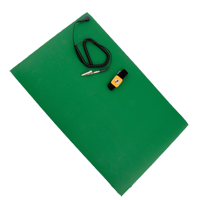 Anti-static mat PROSKIT 8BM-405A 60x120 cm is a very good quality ESD anti-static mat ideal for every service. Mat equipped with a latch and the earth wire (with resistor connected 1M), which is necessary for proper and safe operation. The underside of the mat surface perfectly adheres to any surface and ensures stability during operation. 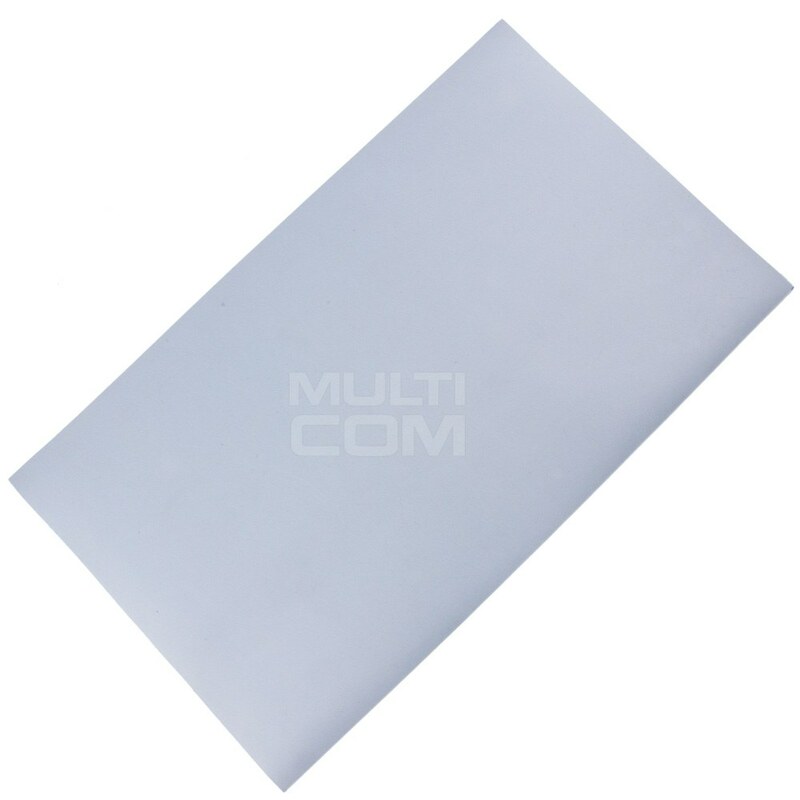 Anti-static mat PROSKIT 8BM-405A 60x60 cm is a very good quality ESD anti-static mat ideal for every service. Mat equipped with a latch and the earth wire (with resistor connected 1M), which is necessary for proper and safe operation. The underside of the mat surface perfectly adheres to any surface and ensures stability during operation. ESD Workstation Mat 25x15 cm it's conductive mat that protect sensitive equipment like computers and electronics from static electricity generated by humans. 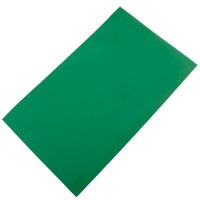 Our electrically conductive and static dissipative mats eliminate safety hazards. ESD tabletop mats with keeps micro-circuitry components safe from the potentially damaging effects of static shocks. ESD Workstation Mat 30x30 cm it's conductive mat that protect sensitive equipment like computers and electronics from static electricity generated by humans. 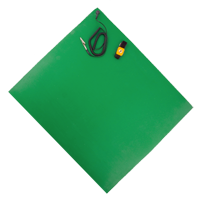 Our electrically conductive and static dissipative mats eliminate safety hazards. ESD tabletop mats with keeps micro-circuitry components safe from the potentially damaging effects of static shocks. ESD Workstation Mat 45x45 cm it's conductive mat that protect sensitive equipment like computers and electronics from static electricity generated by humans. Our electrically conductive and static dissipative mats eliminate safety hazards. ESD tabletop mats with keeps micro-circuitry components safe from the potentially damaging effects of static shocks. ESD Workstation Mat 50x30 cm it's conductive mat that protect sensitive equipment like computers and electronics from static electricity generated by humans. 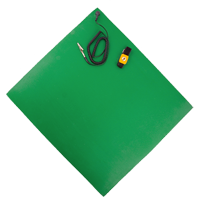 Our electrically conductive and static dissipative mats eliminate safety hazards. ESD tabletop mats with keeps micro-circuitry components safe from the potentially damaging effects of static shocks. ESD Workstation Mat 60x50 cm it's conductive mat that protect sensitive equipment like computers and electronics from static electricity generated by humans. 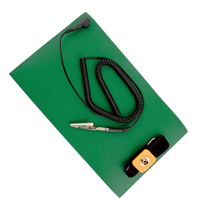 Our electrically conductive and static dissipative mats eliminate safety hazards. ESD tabletop mats with keeps micro-circuitry components safe from the potentially damaging effects of static shocks. ESD Workstation Mat 90x90 cm it's conductive mat that protect sensitive equipment like computers and electronics from static electricity generated by humans. Our electrically conductive and static dissipative mats eliminate safety hazards. ESD tabletop mats with keeps micro-circuitry components safe from the potentially damaging effects of static shocks. ESD Workstation Mat GD510 25x15 cm it's conductive mat that protect sensitive equipment like computers and electronics from static electricity generated by humans. Our electrically conductive and static dissipative mats eliminate safety hazards. ESD tabletop mats with keeps micro-circuitry components safe from the potentially damaging effects of static shocks. ESD Workstation Mat GD510 30x30 cm it's conductive mat that protect sensitive equipment like computers and electronics from static electricity generated by humans. Our electrically conductive and static dissipative mats eliminate safety hazards. ESD tabletop mats with keeps micro-circuitry components safe from the potentially damaging effects of static shocks. ESD Workstation Mat GD510 45x45 cm it's conductive mat that protect sensitive equipment like computers and electronics from static electricity generated by humans. Our electrically conductive and static dissipative mats eliminate safety hazards. ESD tabletop mats with keeps micro-circuitry components safe from the potentially damaging effects of static shocks. ESD Workstation Mat GD510 50x30 cm it's conductive mat that protect sensitive equipment like computers and electronics from static electricity generated by humans. Our electrically conductive and static dissipative mats eliminate safety hazards. ESD tabletop mats with keeps micro-circuitry components safe from the potentially damaging effects of static shocks. ESD Workstation Mat GD510 60x50 cm it's conductive mat that protect sensitive equipment like computers and electronics from static electricity generated by humans. Our electrically conductive and static dissipative mats eliminate safety hazards. ESD tabletop mats with keeps micro-circuitry components safe from the potentially damaging effects of static shocks. ESD Workstation Mat GD510 90x90 cm it's conductive mat that protect sensitive equipment like computers and electronics from static electricity generated by humans. Our electrically conductive and static dissipative mats eliminate safety hazards. ESD tabletop mats with keeps micro-circuitry components safe from the potentially damaging effects of static shocks. 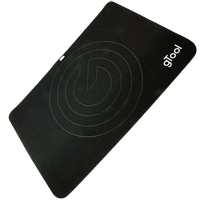 gTool Antistatic (ESD) Rubber Mat (ESDM-01M) - 600x400 is a high-quality antistatic mat made of two parts - the static conductive material (1.5 mm), and a synthetic rubber, which acts as a static-diffusing material (0.5mm). Each panel has dual magnetic switch mounted in the top part, which makes it easy to connect the grounding plug gTool with a band or the ground ring.